Why do naturally talented people frequently fail to reach their potential while other far less gifted individuals go on to achieve amazing things? The secret to outstanding achievement is not talent but a passionate persistence. In other words, grit. MacArthur Genius Award-winning psychologist Angela Duckworth shares fascinating new revelations about who succeeds in life and why. 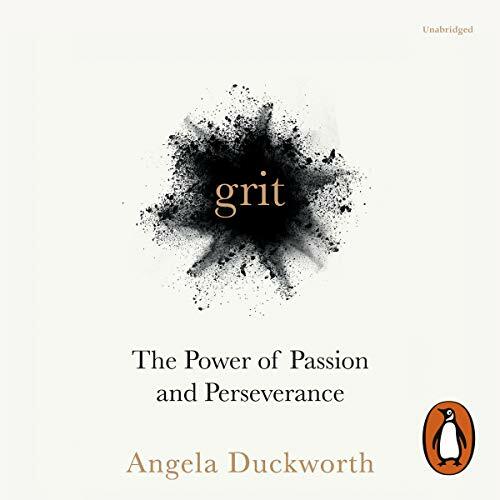 Based on her cutting-edge research, Duckworth shows how many people achieve remarkable things not just by relying on innate natural talent but by practising what she calls grit. She then offers a Grit Formula to help anyone to become grittier, focusing on six key factors: hope, effort, precision, passion, ritual and prioritisation. Where does Grit rank among all the audiobooks you’ve listened to so far? 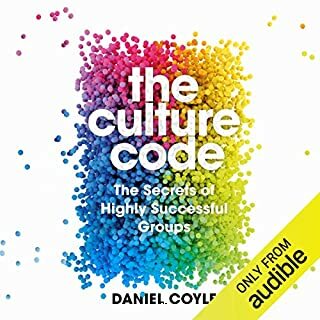 The best audiobook I have listened to without doubt. Evidence based, full of research, no false 'you can do it' platitudes. just facts based in science and supported by engaging anecdotes. Anyone wanting a primer in Positive Psychology needs to fead/listen to this book. What other book might you compare Grit to, and why? 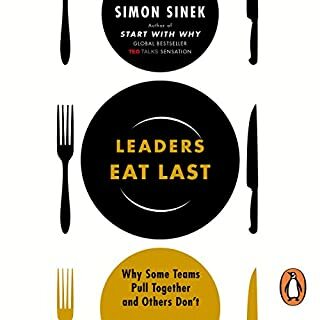 Peak by Anders Erikson - Duckworth refers to deliberate practice as a necessary ingredient for passion and perseverance and has worked with Anders Erikson. 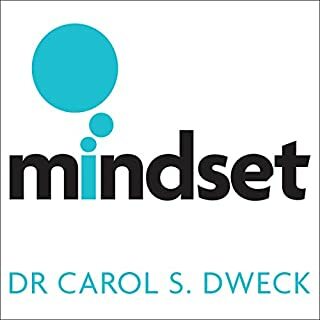 Similarly I would reccomend Flow by Csikszentmihalyi and Mindset by Carol Dweck. What does Angela Duckworth bring to the story that you wouldn’t experience if you had only read the book? 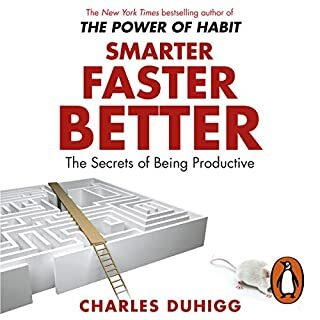 Highly recommend this book to anyone interested in the real path to excellence - simple but definitely not easy. If you're up for the hard yards this is the real Secret. Really loved this book with all it's studies intermingled with absorbing relatable examples of grit in action. I started with hope, found the repetitive message frustrating a third of the way in, and gave up half way through. Upside? Good audio quality and reading. Loved this. 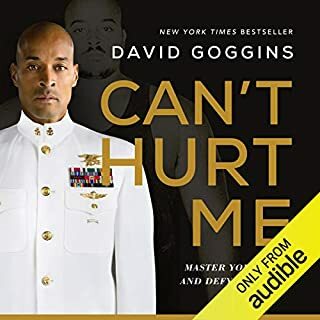 Would recommend it to any sports person because of its relevance and it made me step back and look at my own "grit"
This book is one of the most motivating books I have read. 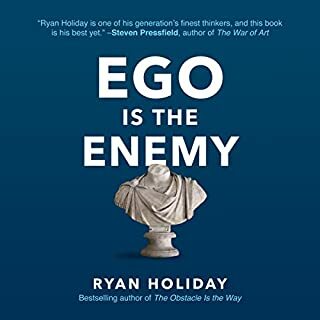 It has really put into perspective how to attain my goals and unlike other books on the subject is far more applicable than most which only emphasise monetary success in sales roles (something I care nothing for). I read a review beneath warning not to purchase this book due to some of the references referring to studies conducted on animals. I myself am a vegan and I would not let this discourage others who care for animal welfare as the author themselves did not conduct this research but simply references this. Furthermore it only forms a small portion of the book; veganism is about minimising as much as possible the suffering of animals, however, it emphasises intention over perfection; not complete abandon. Does the person who posted the review below not use medication as all medication has been tested on animals too? 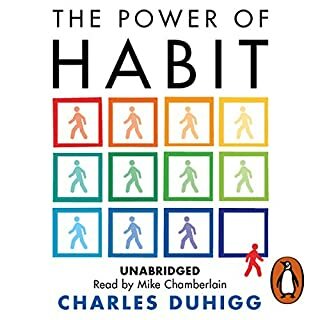 One of the best audiobooks that I will listen again and again. The book is informative, instructive, and inspiring. Packed with systematic research, genuine sharings, and concrete examples, this book delivers thought-provking insights about how we excel at the things we love to do. 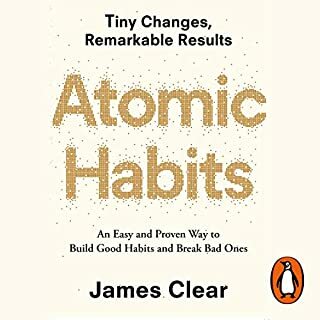 Highly recommended if you are finding meanings of life or a path to success. I rank this book as one of my favourite and most thought provoking books ever. I know I will be recommending it to others and adding it to my clients’ booklist (I’m a career coach). Duckworth poses many interesting and worthwhile questions about grit, passion, excellence and about the psychology of greatness. The answers are not always what you expect. It’s a great resource for everyone including parents, a career resource and a very interesting book. 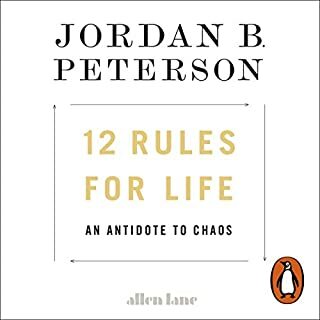 Listen to this book while you do the dishes, the laundry, clean your room or clean out the garage. It is the perfect accompaniment to doing things you don’t necessarily always want to do but that benefit you to keep doing. 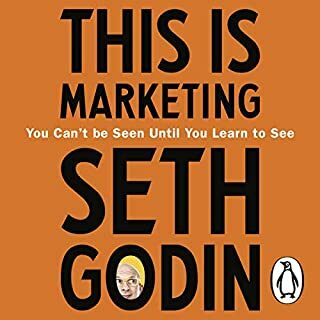 I say listen to it rather than read the book because I believe doing something while you listen enhances how you absorb it. The author has written something of immense value and delivers it to her audience perfectly in this audiobook. It is both highly illuminating and an enjoyable experience. I cant think of one person who wouldn't benefit from this book. The author did an outstanding job of making the story relatable, inspiring and actionable. Something very rare. I found this book compelling, I am glad I read it and I have recommended it to my family. I will be implementing what I have learned. 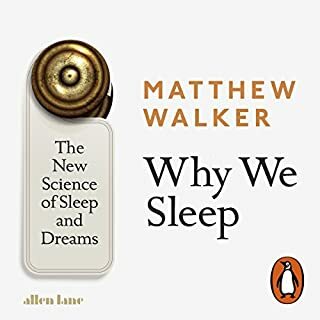 This book is well worth a listen! The basic idea is simple, the character of seeing things through is vital in one's life and, importantly, you can build this skill if you don't already have it. But the book developed this simple concept in an interesting way. I loved it. A have-to-read-book, especially for parents. This book will enrich your life and there is a great deal to take from it. I regret not having read/listen this much sooner. The only criticism I have is that the book somehow makes it seem that being a paragon of grit means you have to be at the very top of your field. Sometimes being a paragon of grit is just being the very best you can be: achieving your goals, making the world a better place, aiming higher and being content and thankful for what you have. That sense of humbleness is sometimes under-stressed. Constantly being "not-good-enough" in your own eyes is going to rob you of the meaning and joy in your life. Regardless, this was an excellent book and well written and highly recommended. Would love to meat the author for a real cup of coffee!! good book for parents too. I really liked it. the content was good and it did not just say why it also said how to fix the problems. 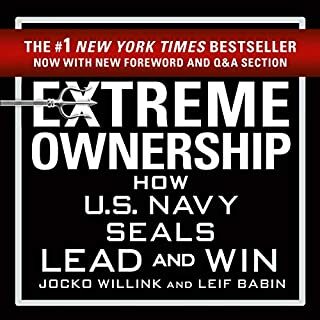 A must read for anyone success at any level. This book will quickly cause you to realize that success is not a one size fits all. Regardless of your background and current position in life you can achieve great success if want it and prepared to work for it. Thank you for writing this book. 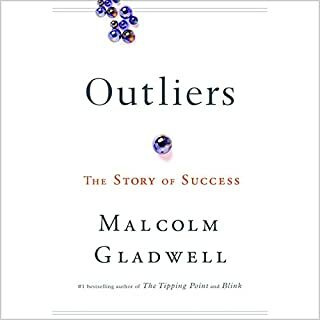 An inspiring wealth of knowledge and insight (including many testimonials of the application of grit) into the field of social psychology and how grit leads to success. The book is so much more than the title. Narrated by an author, well studied and who persevered with passion to deliver this book. First of all a great book. The question is what is the difference between Grit and Stubbornness? One of the best motivational texts I’ve read. It’s power is not in some mumbo jumbo nonsense that motivational speakers tend to advocate, its insights are based on a lifetime of research and deep reflection. Thanks Prof Duckworth. I have every respect for the investigations Angela Duckworth has performed and I agree with her conclusion that grit matters more than talent. The first part of the book is an outline of the evidence she has gathered to support her theory. I found it more detailed that needed and I may have skipped ahead if I had realised how extensive her presented evidence would be. In part 2 she states that grit can be grown. Sadly the only helpful advice I gleaned was to consider resilience training through cognitive behavioral therapy. 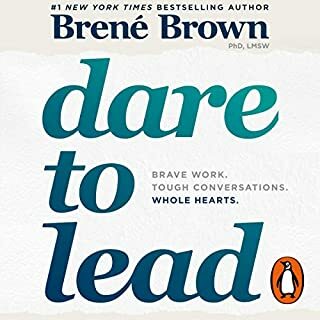 She echoes advice from 'feel the fear' and habit forming books like 'the power of habit' and 'the willpower instinct' and 'the practicing mind'. 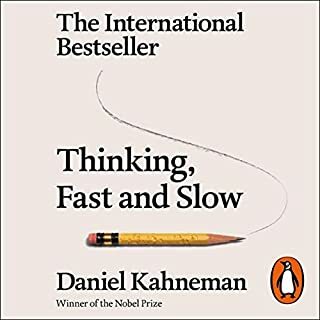 She also calls on Barbera Oakley's investigations on learning and neural plasticity with particular emphasis on deliberate practice and not allowing yourself to give up. Personally I feel Oakley's free online 'learning how to learn' course is more practical and informative. 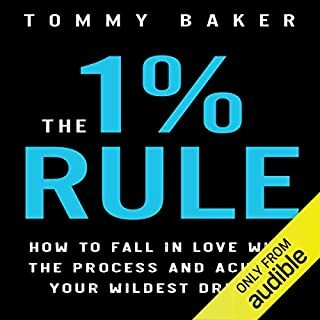 I picked up this audio book looking for practical advice. I did enjoy the book however it's more theory and examples than an outline on how to become gritty. I intend to look into resilience training through cbt and I am very grateful for Angela Duckworth's research, and particularly her TED talk. It has provided a lot of encouragement and reminded me that failure isn't final, it's an opportunity to learn. Would you try another book written by Angela Duckworth or narrated by Angela Duckworth? Not in the audible format but perhaps in paper/kindle form. What could Angela Duckworth have done to make this a more enjoyable book for you? Less personal anecdotes and a more balanced overview of the counterarguments rather than the feel of 'gospel' that is preached here. A wider set of examples too, as predominantly the ones recited were rather academic. Who might you have cast as narrator instead of Angela Duckworth? Perhaps a professional narrator. Brilliant academics might not necessarily be brilliant narrators. Revelating book read by a kind voice, feels like talking to an inspirational friend! Highly recommended for those who have not yet found their calling or for those in need of motivation to keep going. Fantastic! If you could sum up Grit in three words, what would they be? A very interesting book well read by the original researcher on the subject of grit. I recommend it to everyone. 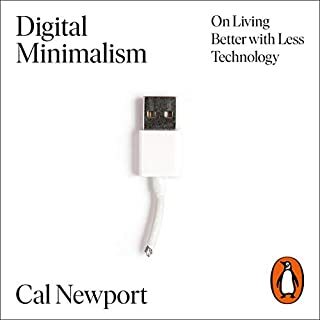 One problem is noted with the audiobook though - many references are made to the accompanying PDF with this audiobook, which however is not present. This book confounded my expectations. I didn't expect to hear so much about joy and passion. I didn't expect to see so much of myself when the author describes the pitfalls of those who don't develop enough grit at a young age. I did expect to feel a little downhearted at the end; as someone not greatly gritty I worried this would be a terrible few hours of self flagellation. In the end I felt inspired. This book will help me to better myself and to be better at my job and as an uncle and future father. I did enjoy the book, but is mainly theory followed by examples. There is very little practical or actionable advice. This book is well written with refreshingly new ideas. It is devoid of the cliches of this genre. It provides reasoned and often evidenced based arguments for what it professes. There are few who would not both enjoy and benefit from this book. This book was slow, dull and lacking insight. The narration wasn't pleasing to the ear and the style of writing was awkward. Fairly simple points made laboriously. Didn't listen to the end. Goes into much more detail than any talks, interviews or articles you might have read. Includes specific, actionable advice. Littered with anecdotes, research references and examples. 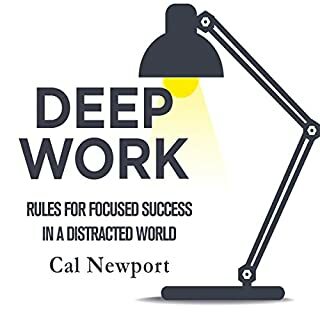 Definitely a recommended read for anyone with an interest in the effects of perseverance and passion, and how to grow these for ourselves and others.